!!! 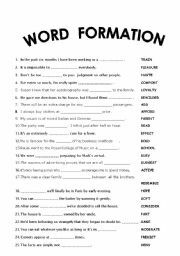 WORD FORMATION 45 sentences + KEY !!! 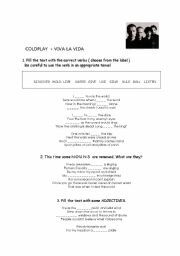 I´ve prepared this exercise for my ss who still some practice with this subject. Hopefully you´ll find it useful. 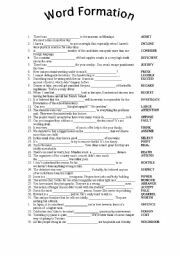 45 sentences on wordformation. The key included. !!! 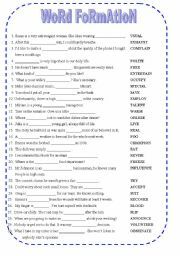 WORDFORMATION 30 sentences + KEY !!! !! SINCE OR FOR EXERCISE !! 30 sentences. There are 30 sentences. 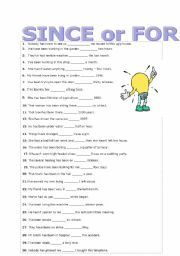 SS´s task is to fill them with the correct usage of SINCE or FOR. 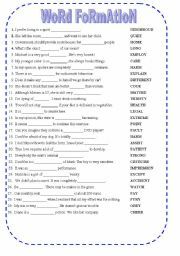 While preparing this task I was using some on-line dictionaries (like Cambridge) to combine sentences:) I hope U find it useful. !!! 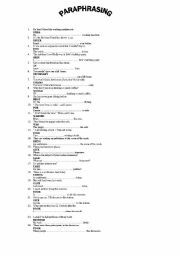 WORD FORMATION 25 sentences + KEY !!! 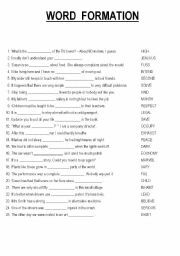 Another task connected with Present Perfect and since/for. 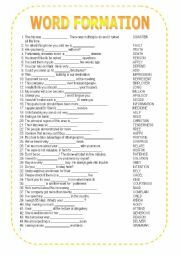 This time 25 sentences to practise. Enjoy. I tried to vary the tasks. I hope you will find it useful. !!! Winnie the Pooh and his daily routine !!! This is my first ppt so please do not criticise me harshly;) I think it may be useful while working with young learners. Besides, it may lead to further practice. Enjoy. I hope it will be useful while introducing Present Continous structures. Simple sentences, nice,catchy pictures. Enjoy and remember that there will be the second part to download. Young learners have fun when they talk about sth they enjoy. Hopefully this task will give them some fun. !!! CHRISTMAS WITH DISNEY !!! Introducing new words. My Students love this film, that is why I´ve prepared few pages about their favourite characters.This include some reading but may be used as a listening exercise as well.